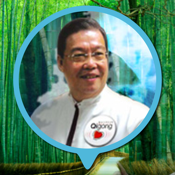 Wellness Medical Qigong was founded by Master Tan Soo Kong and Sifu Connie Lee Yoke Kwan. They are on an altruistic and spiritual mission to promote and propagate Medical Qigong as a worldwide healing modality by sharing their knowledge, experience, expertise and research findings with anyone who is deeply interested, committed and dedicated and who aspires at the same time, to contribute to, and participate in, the enormous work and effort involved. Medical Qigong is a gift of Chinese civilisation to mankind. It follows the principles of TCM (Traditional Chinese Medicine). It is a way of influencing and directing Qi for medical benefits rather than using needles, herbs or massage, although these can be supplementary. Medical Qigong has gained worldwide popularity in the recent years to treat all kinds of physical and emotional ailments, especially as part of integrated therapy for Cancer.